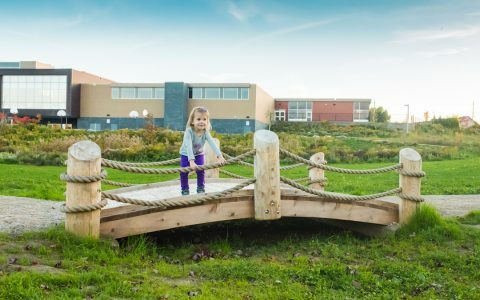 The challenge at Moffat Creek Public School was to transform an open field into a playground that would maximize the use of the space and create many opportunities for play and learning. The site is nestled in the Grand River watershed, flanked by nature trails, soccer fields and the school building. 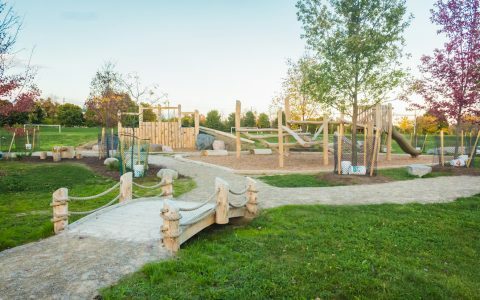 Because of its prime location the playground is frequented not only by students but also sports teams, summer camps and the neighbouring community. The planning team’s goals for the playground included promoting imaginative play, fostering a sense of adventure, and providing children the opportunity to test their skills and allow them to make risk-taking decisions in an appropriate play setting. 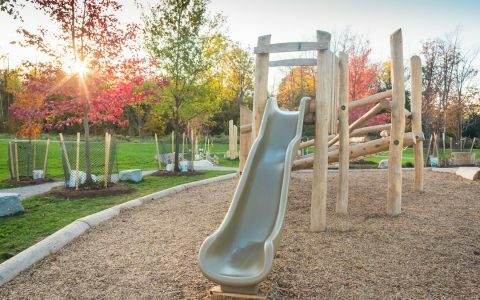 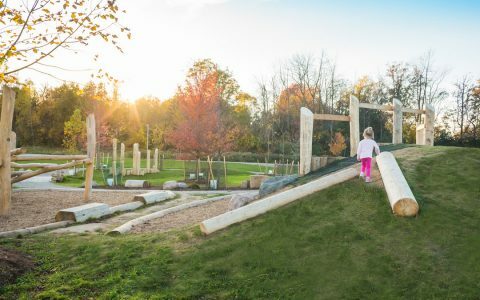 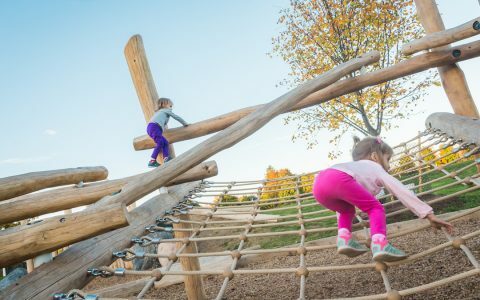 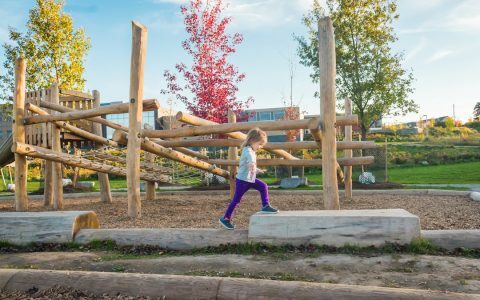 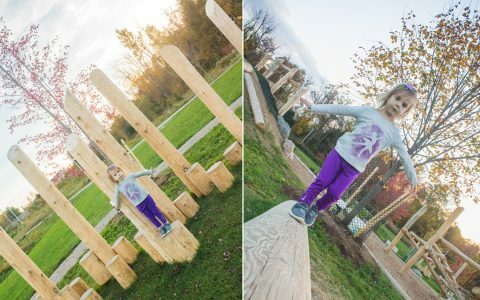 Exciting play features, pathways, boulders and trees combine to form the final playground in a park-like setting that offers something for everyone. 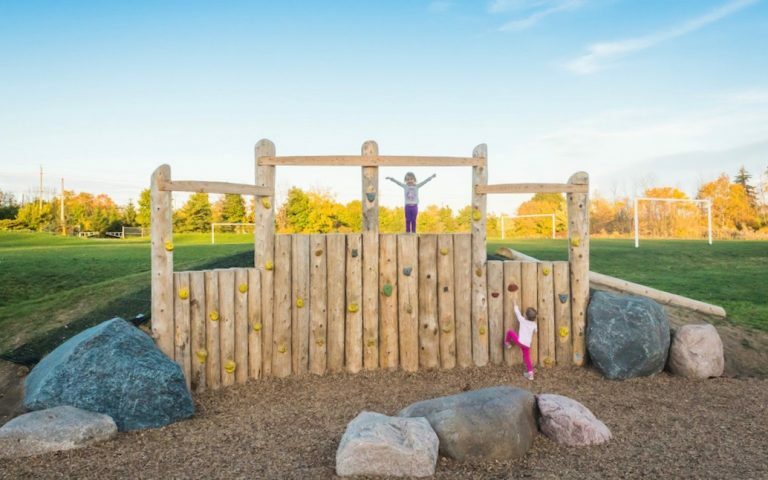 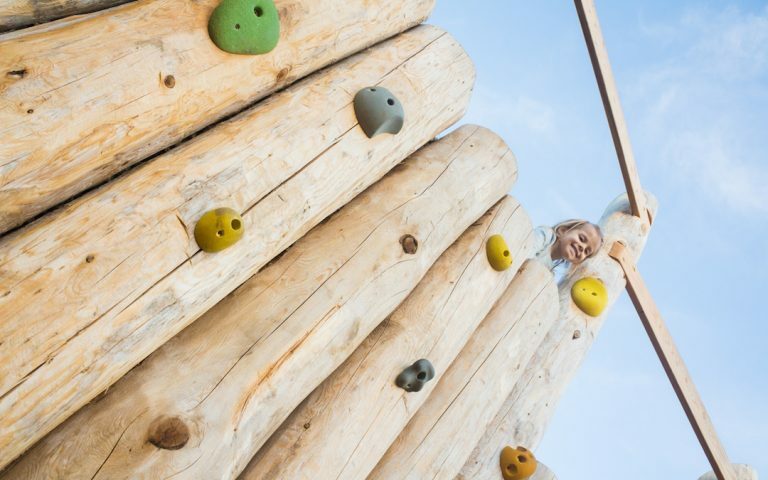 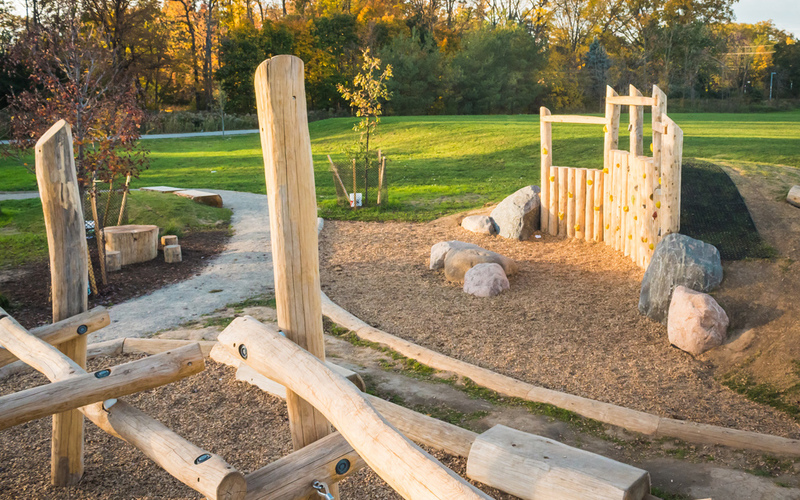 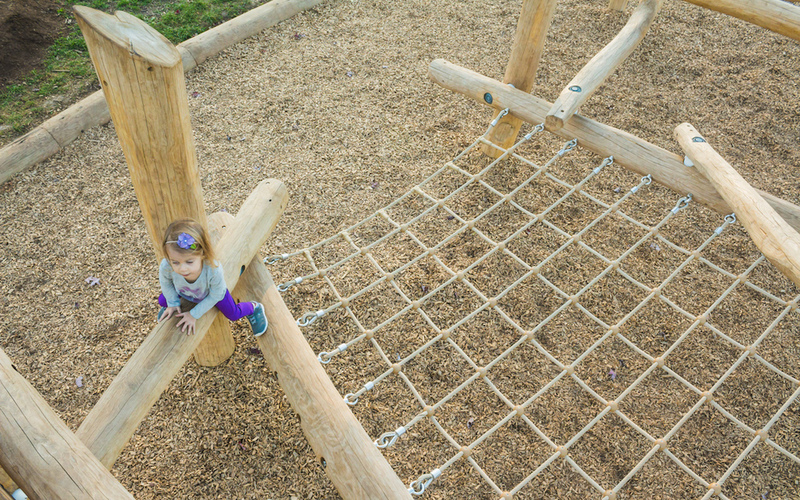 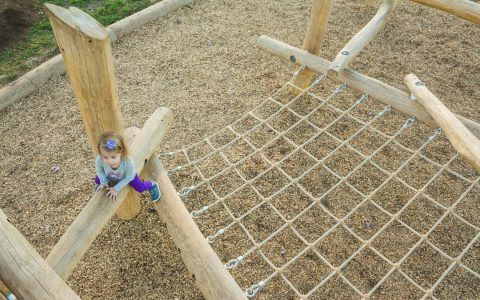 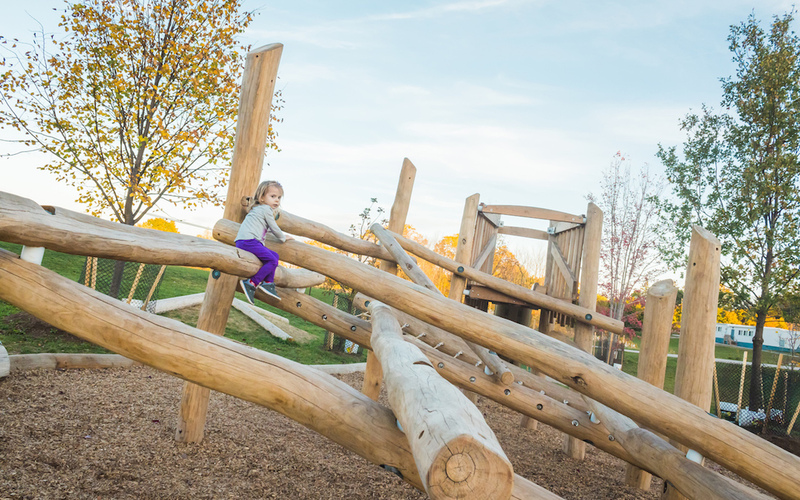 The log jam, boulder scramble and bog stilt climbing posts encourage active and social play. Oak benches and a stump table and seats provide places to hang out and chat with friends. A gravel path meanders beneath the tree canopy, connecting the play elements, seating and berms.